Hiking and outdoor adventures are equally important for kids as it is for adults. It is a perfect get away from the daily norm. Furthermore, hiking is an ideal opportunity for parents to bond with their kids. This is why it is vital to ensure that you buy the right hiking backpack for your son or daughter. The best hiking backpack for kids ought to be optimally functional, strong and comfortable. Nonetheless, it should be constructed to complement their youthful frame in addition to conforming to their needs while outdoors. 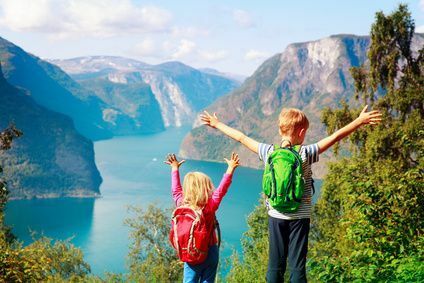 Choosing the most suitable hiking backpack for your kid can be a daunting task considering the insane number of related products in the market. The following is a comprehensive guide that you can refer to when purchasing a hiking backpack for your kid. What are the best kid hiking backpacks? If you are looking for a durable backpack built with an innovative design to suit your kid perfectly, I would recommend the Deuter kids’ fox 40. It comes with superior features similar to those from grown-up backpacks. This includes a highly adjustable suspension system that allows for a custom fit on youthful bodies. It is built to last long owing to the quality and robust material from which it is made. Alongside that is world class ventilation on the back panel and shoulder straps allowing for optimum breath-ability. Besides that, the backpack is well cushioned to provide that exemplary comfort for the carrier. Similarly, it is extremely light weight making it easy to carry around even for a long duration. Its spacious compartment will allow your kid to carry more accessories while hitting the trail. In fact, The Deuter Kids Fox 40 Hiking Backpack offers top functionality and is well equipped for the rough outdoor terrain. Unparalleled functionality is what you get when you purchase the Osprey Ace 50 Kid’s backpack. Other than being ultra-light, the backpack is constructed from quality materials that guarantee quality. It comes with ample space with a 50 liter volume. Moving on, the backpack can fit on any kid regardless of their size thanks to adjustable harness. Similarly, the pack features an ergonomically designed back panel that is covered by a mesh fabric which is extensively ventilated to eliminate sweating. On the same note, the back panel is thickly padded to enhance comfort. Its compartments are easily accessible in addition to being secured by strong zippers. Moreover, the backpack has numerous exterior pockets - including a hip belt pocket – which boost the packing space. The pack also features additional features including a rain cover pocket and an attachment point for a sleeping bag. 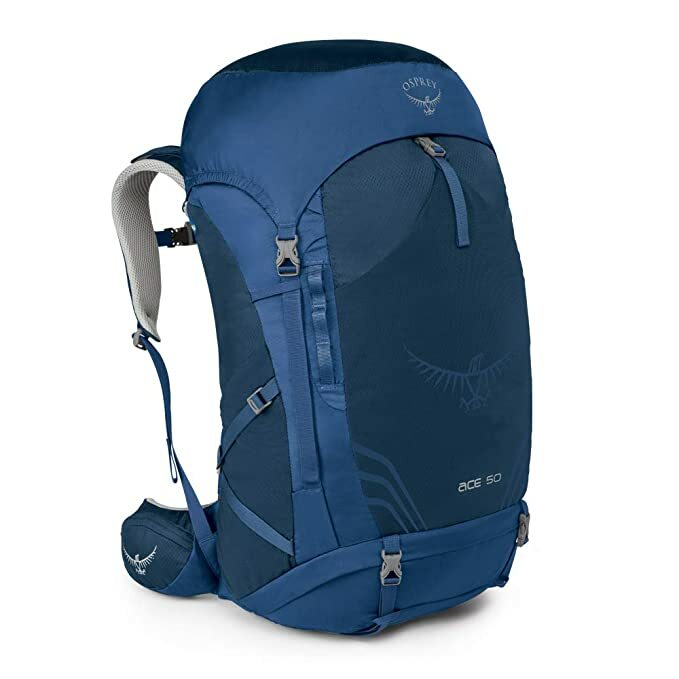 In fact, The Osprey Ace 50 Kid's Backpack is a standard hiking backpack that guarantees years of value and impeccable service. Very few products can compare to the durability offered by the Wander 50 kid’s backpack. The backpack is made from quality polyester firmly stitched to hold the pack together. Moreover, the pack features an adjustable suspension system to provide a custom fit for kids aged between eight to ten years. 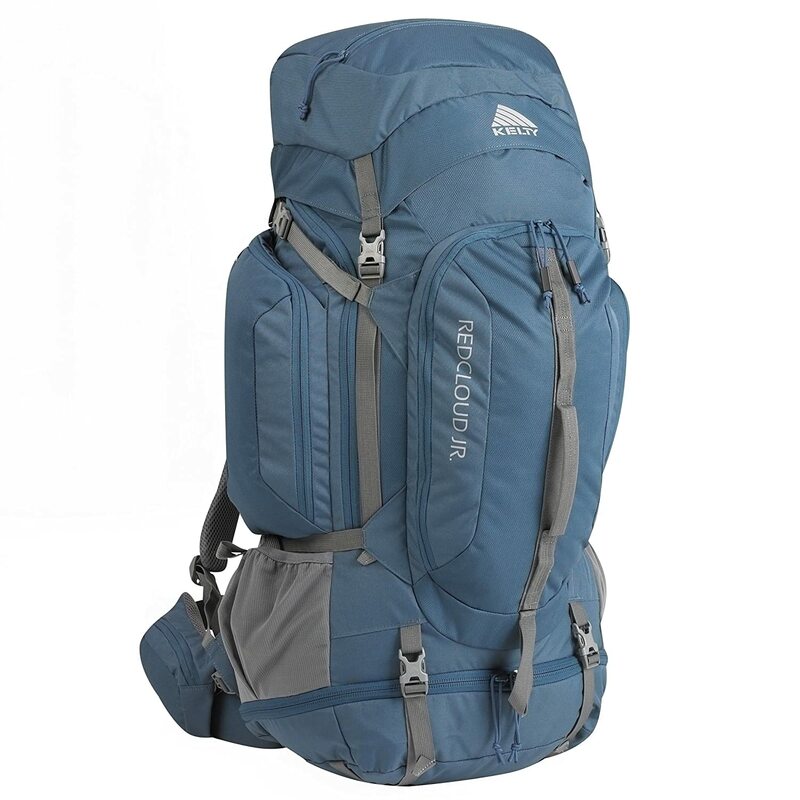 Nonetheless, the pack is very light yet spacious for a multi-day hiking trip. Comfort is top notch as it is fitted with thick padding on its shoulder straps and back panel. It is perfect for hiking on hot days owing to its extensive ventilation. To add on that, its pockets and compartments are easily accessible thus making it easy for youngsters to organize their hiking accessories. Dual zippers on the main compartment ensure that everything is secured accordingly. Still, it comes with multiple external pockets which allow extra packing space. The pack is equipped for any weather conditions thanks to an integrated rain cover. With this pack, dehydration will be a thing of the past as it is fitted with a hydration sleeve. To top it off, the pack has attachments loops for trekking poles and daisy chains where more accessories can be held. In fact, The pack is greatly constructed and highly adjustable for a perfect fit. 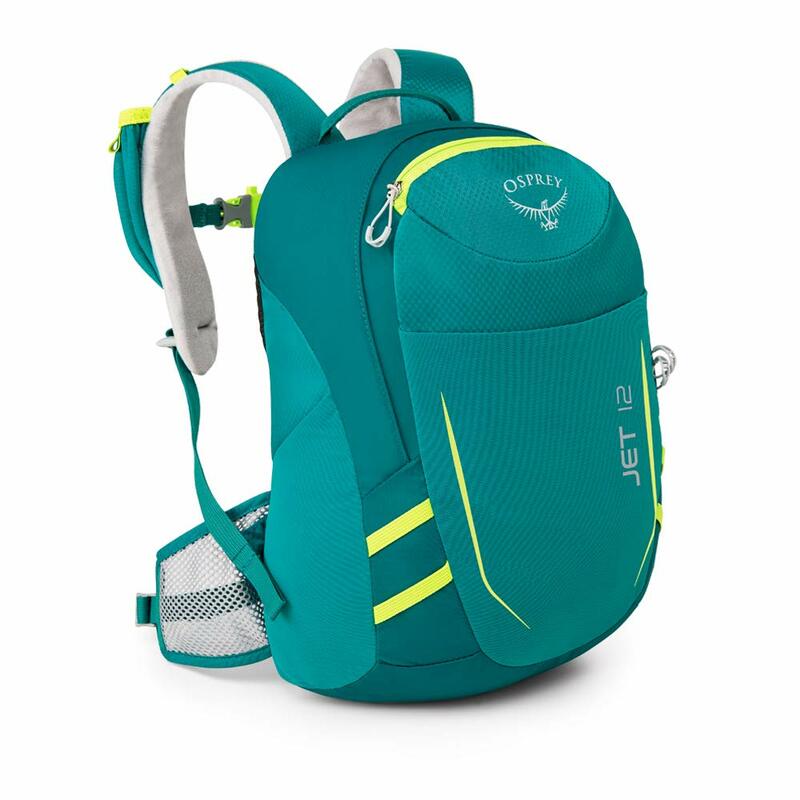 Osprey’s Jet 12 is a kid-friendly pack with a sleek design. Its premium comfort makes it ideal for first time hikers. Extensive ventilation and padding on the shoulder straps guarantee an enjoyable hiking experience. The same applies for the back panel and the pressure-distributing hip belt. For easy packing and unpacking, the backpack has pockets that are easily accessible in addition to multiple zippered external pockets. It also comes with an external reservoir sleeve which makes refilling effortless. In fact, The Osprey Youth Jet 12 Backpack is designed to last long and grow with your kid. The Kelty's Red Cloud 65 Junior Pack offers the best with regards to durability, functionality and opulence. At the top of its features is its large and accessible compartments secured by large zippers. It also comes with an adjustable suspension system that guarantees a custom fit. Moreover, the pack is thickly cushioned for a comfy hiking experience. Similarly, its fabric on the back panel and shoulder straps is highly breathable eliminating any risk of sweating. Additionally, the backpack boasts of integrated sleeping pad straps. Furthermore, it has a daisy chain handle for easy lifting. There are side pockets that can hold water bottles as well as sleeves that can accommodate tent or trekking poles. To top it off, the backpack is light for easy carrying. In fact, This pack offers incredible features that kids love alongside ample packing room for a multi-day hiking trip. The DEUTER KIKI is one of the best hiking backpacks for kids. It features an ergonomic design formed by eco-friendly fabric. Nonetheless, the pack is available in a variety of bright and eye-catching colors which enhance security. 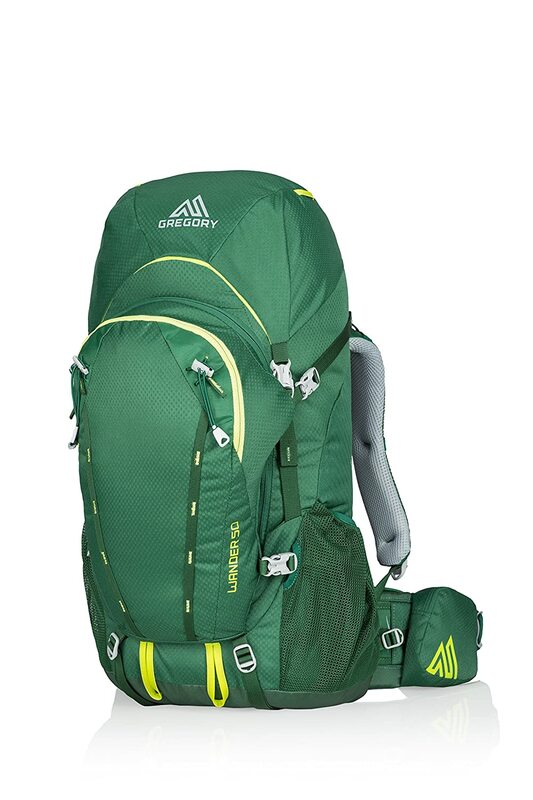 With a capacity of 6L the pack provides sufficient packing space for short or multiday hiking trips. Moving on, it is highly adjustable and ideal for kids aged around three years. Moreover, it is ultra-light for a less tedious hiking experience. It is made from super-polytex, a strong and durable material that makes it good for the unforgiving outdoor terrain. The back panel is ventilated and well-padded not to mention the shoulder straps that are soft and thickly cushioned. Extensive side pockets are strategically placed for accessibility. 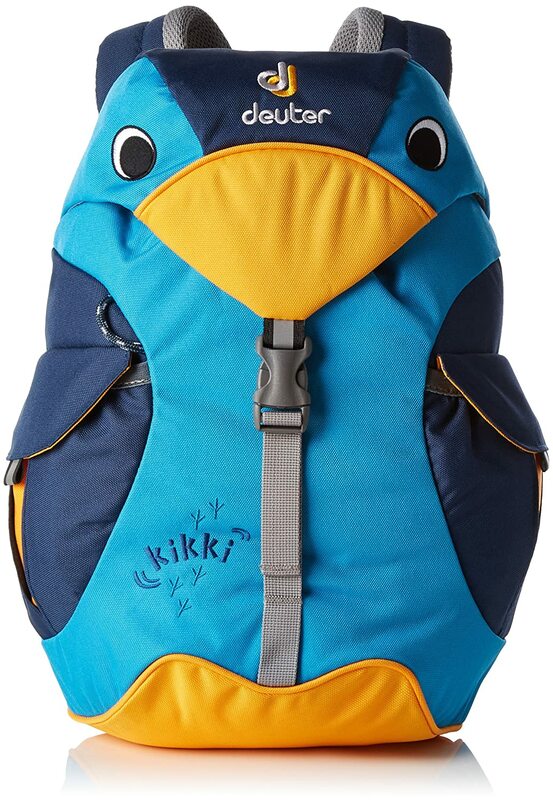 In fact, The Deuter Kikki Kid's Backpack is a perfect investment for little kids. This product is not only made to last long, it also happens to be versatile and multifunctional. It can be used as a school bag and a hiking backpack for kids aged between 6 and 10. This is achieved through its unique ergonomic design. In addition to that, it boasts of a whole 18L of capacity for the main compartment. Alongside that are two side mesh pockets that can accommodate a water bottle. It also has other strategically placed pockets for easy access. For kingly comfort, the pack has a stitched foam back panel that is very breathable. Still, the backpack has strong and youth-specific shoulder straps that are highly adjustable as well. For safety and visibility, the pack is fitted with a reflective piping at the back. In fact, The North Face Unisex Recon Squash is a fairly priced multi-functional backpack. With the numerous imitations and mediocre hiking backpacks in market, it is hard to come by a quality product. 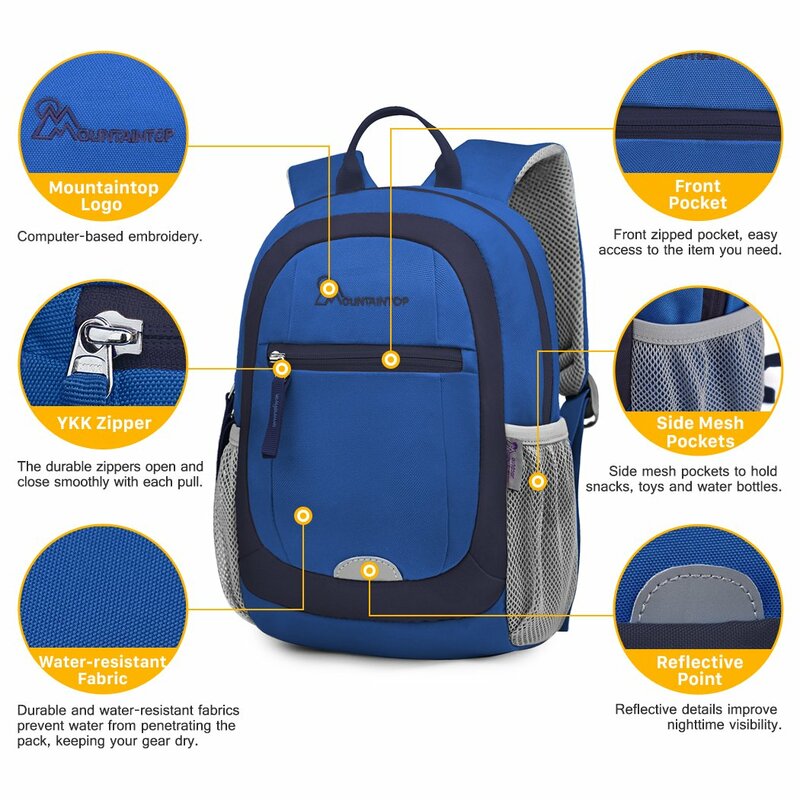 However, the Mountaintop Kids Backpack is what your son or daughter needs on the next hiking trip. Other than being roomy, the pack is water resistant. It is made from durable and anti-scratch polyester. The pack boasts of adjustable sternum straps that guarantee a perfect fit for your kid. Moreover, premium easy to use YKK buckles provide a less strenuous experience. Besides that, the pack incorporates the bar tack technology that involves sturdy stitching targeting stress points. The fabric on back panel and shoulder straps are well padded and breathable too. In fact, The Mountaintop Kids Backpack is worth buying owing to its top functionality, opulence and quality. 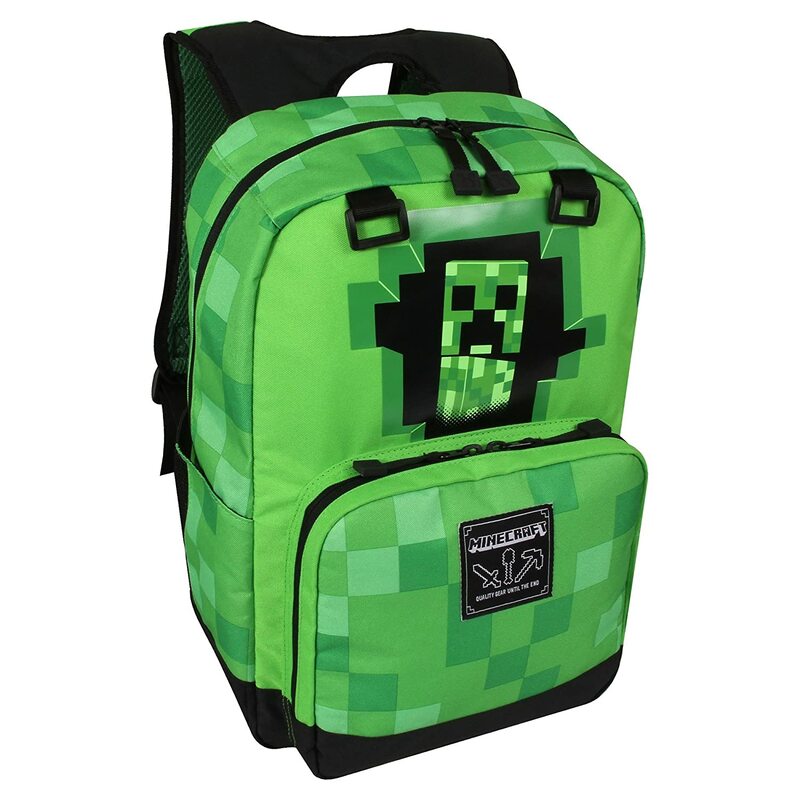 The Jinx mine-craft creepy creeper kids backpack is an excellent product for outdoor adventure. It is firmly stitched from quality polyester fabric for durability. Besides its sleek design, the pack is extremely light. Additionally, the main compartment is spacious to accommodate more hiking accessories. Alongside that comes a mesh pocket for a water bottle as well as other accessible side pockets. For extra comfort, the pack is thickly padded and extensively ventilated. Adjustable straps make it possible of the pack to fit kids of different sizes. How do you choose the best hiking backpack for kids? While focusing on capacity you should consider the type of hiking that your kid will be engaging in. Hikes could be long or short. A long hiking duration demands more space for more stuff as compared to shorter hikes. Besides being spacious, hiking backpacks designed for long hiking period should be fitted with internal support frames. 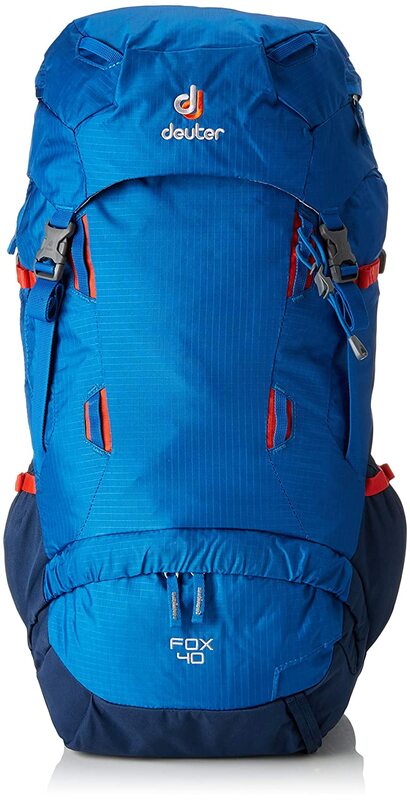 It would be great if the pack could accommodate a hydration system and also have a few exterior pockets. Above all ensure that the backpack is spacious enough to accommodate the accessories that your kid may require while outdoors. Comfort is vital for any kind of bad especially for one meant for outdoor activity. However, comfort can be defined in different ways. Backpacks that fit perfectly are known to be more opulent. This is why you should choose a backpack that is highly adjustable. The adjust-ability should be centered on the suspension system, hip belt as well as the shoulder harness. A backpack that is highly adjustable will not only be more comfortable but also provide a customized fit. You can shop alongside your kid in order to try it on them or else get the measurements for accuracy. The length of the back panel should match the kid’s torso length. Hiking is enjoyable although it can be tedious and cumbersome when you have a bulky backpack. The same applies to kids. As much as they might not carry most of the essential hiking gear, they could still be worn down by heavy bags. Therefore, it is extremely important to buy your kid a lightweight hiking backpack. The ideal multi-day backpack for younger kids should weigh around 2 to 2.5 lbs when empty. 4 to 4.5 lbs is perfect for older kids. On the other hand, daypacks should weigh 1lb and below. Nothing compares to a backpack that is extensively pocketed. This transforms into more packing room for accessories. This could be a water bottle, an extra pair of shorts or a camera. More pockets also improve convenience due to easy accessibility. Hence, ensure that you get a backpack with multiple pockets not forgetting sturdy zippers to them secure. Another attribute that you ought to be on the lookout for is proper ventilation. A backpack that is well ventilated ensures that your kid remains cool and comfortable regardless of the prevailing weather conditions. The back panel should be breathable. Similarly, the shoulder straps and waist best should allow air to flow easily. Kingly comfort is a must for the best hiking backpacks for kids. To begin with, the back panel should be thickly cushioned to minimize the pressure exerted on the back by the weight of the bag. The same extends for the shoulder straps and waist belt too. Sufficient padding transforms into comfort for the carrier. Other than being light, spacious and comfortable, the best hiking backpack for kids should have pockets that are easily accessible. This is because it makes it easy to fish out the things that one needs without necessarily having to put the bag down. Bags with multiple compartments and top loading features have proven to be more accessible. In addition to that, external or outer pockets enhance accessibility. Hence you young one will save time and strength as well. You ought to buy a backpack with adjustable harness because it provides a customized fit thus heightening comfort. Besides that, an adjustable backpack is grows alongside your kid. This ensures that you will not have to buy a new hiking backpack for your kid anytime he or she increases in size. Nonetheless, take note of the child’s torso length to ensure the pack fit perfectly. You should also know if the pack is spacious enough as the needs of every kid change with age. Hikers are prone to dehydration considering the amount of ground to be covered on foot. It is further worsened by hot weather. That is why you should by your kid a backpack that is fitted with a hydration system. Hiking backpacks that are hydration compatible come with a compartment or a special pocket that accommodates a water bottle or reservoir. The hydration system could be complete with a reservoir or bladder and a tube for easy drinking. A pack with a compartment for a water bottle or hydration system will keep your kid sufficiently hydrated throughout any outdoor adventure. It is common belief that products that are highly priced are of greater quality. Well, it is true to some extent although you can still find a great hiking backpack for kids at a reasonable price. Be keen about the features, functionality and durability. Do not focus solely on the price aspect of the pack. The material from which a backpack is made determines its durability. Hiking involves rough and unforgiving terrain that demands sturdy material to hold the pack together. Polyester and cotton have proven to be strong and durable hence ideal for hiking backpacks. A good suspension system ensures that the weight of the pack is well distributed hence making it easy to carry. Furthermore, bigger backpacks for multi-day hikes should be fitted with support frames in order to hold more weight. This could be attachments loops, rain cover, a reflective line among other smart features. These features enhance comfort, convenience and security. Therefore, consider packs with such smart features while shopping. Why go for hiking with kids and youth? There are numerous benefits that you can reap from going on a hiking trip with kids and youth. Perhaps the most amazing one is that hiking gives you a chance to bond with kids and know each other at a deeper. You get some alone time with your kids while hiking. Other than that, you get company. It would rather be awkward to go on a hiking trip alone. Why not bring along your children? Moreover, hiking provides you a perfect opportunity to create unforgettable memories with your kids while still having fun. The best hiking backpack for kids should incorporate more safety features like a whistle and reflective colors. Hydration compatibility or a water bottle sleeve is also vital for hydration. Thus, look out for such attributes while shopping. Above all, buy backpack with a kid-friendly design.